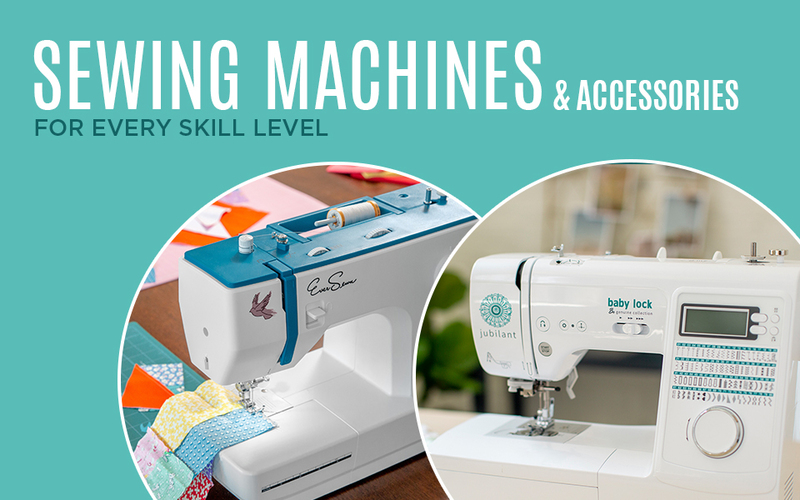 Sewing Machines & Accessories — Missouri Star Quilt Co.
Our curated mix of sewing machines from EverSewn and Baby Lock will keep you stitching for years to come! We've got machines for every skill level—from sturdy, mechanical options to elegant, computerized machines with loads of options. Whether you’re just starting out, or are ready to upgrade as your skills improve, we've got the perfect options for you! These lightweight, durable, and oh-so reliable sewing machines are great at home or on the go. And be sure to check out all the fun, coordinating accessories like totes, bobbins, feet, and more to make the most of your sewing experience!